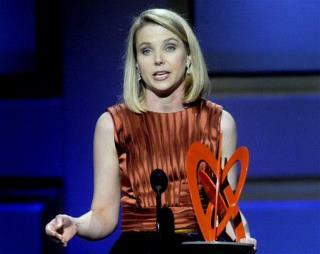 (Newser) – Marissa Mayer's quest to boost morale at Yahoo doesn't stop at free food and office makeovers. The new CEO is also offering employees a brand-new smartphone with free data and phone service, Business Insider reports. Workers in 22 countries must ditch their Blackberry—Yahoo's current corporate phone—but can choose between an iPhone 5, HTC One X, Samsung Galaxy S3, Nokia Lumia 920, and EVO 4G LTE. Catching up to the standard set by gov. for lowlife welfare recipients getting free phones at taxpayer expense. Free stuff works - for a while. My boss wouldn't give me the swet off his ball$, but he is generous with giving me heartache and useless busy work.